Lieutenant-General Sir Charles (James) Briggs (1865-1941). Sitter: Lieutenant-General Sir Charles (James) Briggs (1865-1941). 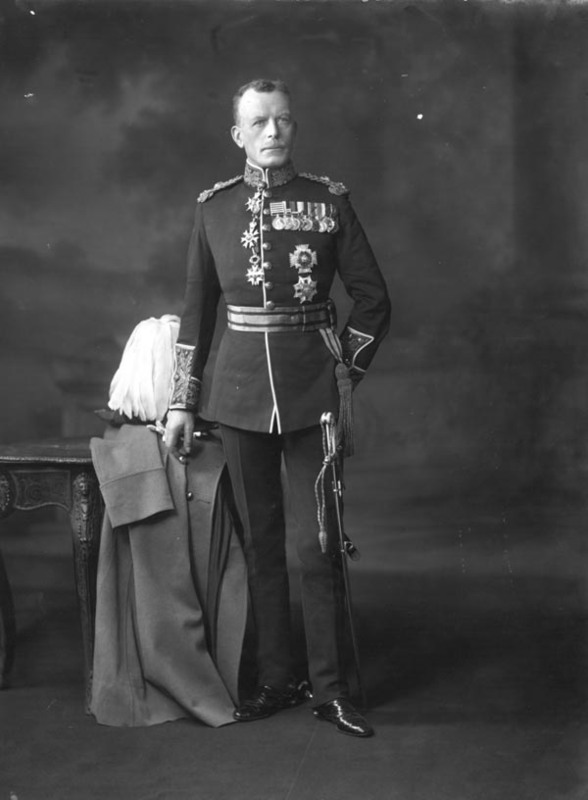 Biog: Lieutenant-General 1919; retired 1923; Colonel, King's Dragoon Guards, 1926-39. Occasion: The King's Lev�e, 8 Febuary 1922: General in attendance. Costume: Full Dress uniform, Lieutenant-General. Medal for Military Merit (1st class) [Greece]. Biog: Who's Who; The Army List, 1922; The Times, 28 November 1941, p 7d. Occasion: The Times, 9 Febuary 1922, p 12d. Orders, Decorations & Medals: (Order of the Bath, Order of St. Michael and St. George) Burke's Peerage; (Legion of Honour) R. Werlich, Orders and Decorations of All Nations, Washington, 1990; (Campaign Medals) E.C. Joslin, A.R. Litherland & B.T. Simpkin, British Battles & Medals, London, 1988; (Jubilee Medal) Howard N. Cole, Coronation and Royal Commemorative Medals 1887-1977, London, 1977 (War Cross and Medal for Military Merit, Greece) Alec A Purves, The Medals, Decorations & Orders of the Great War 1914-1918, Polstead, 1989.